Antistatic Stretch Wrap is a new and innovative stretch film designed for use within an ESD Protected Area. 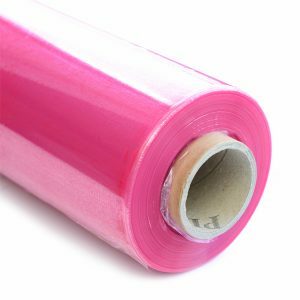 Unlike conventional film, this stretch wrap has an impregnated antistatic agent which protects against the build up of charges. 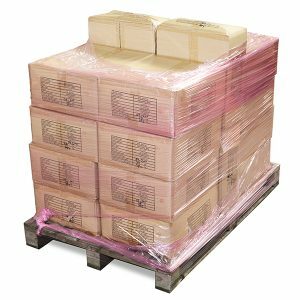 Our own-brand antistatitc stretch wrap is ideal for wrapping pallets with static sensitive items and is just £16.50 per 300m roll. These Press Studs create earth grounding points on bench and floor mats for ease of connection to ground cord. Made of mild steel with a bright zinc and passivative finish, these must be riveted through the mat material to be effective. Order together with the Punch and Anvil set, code 067-0025. 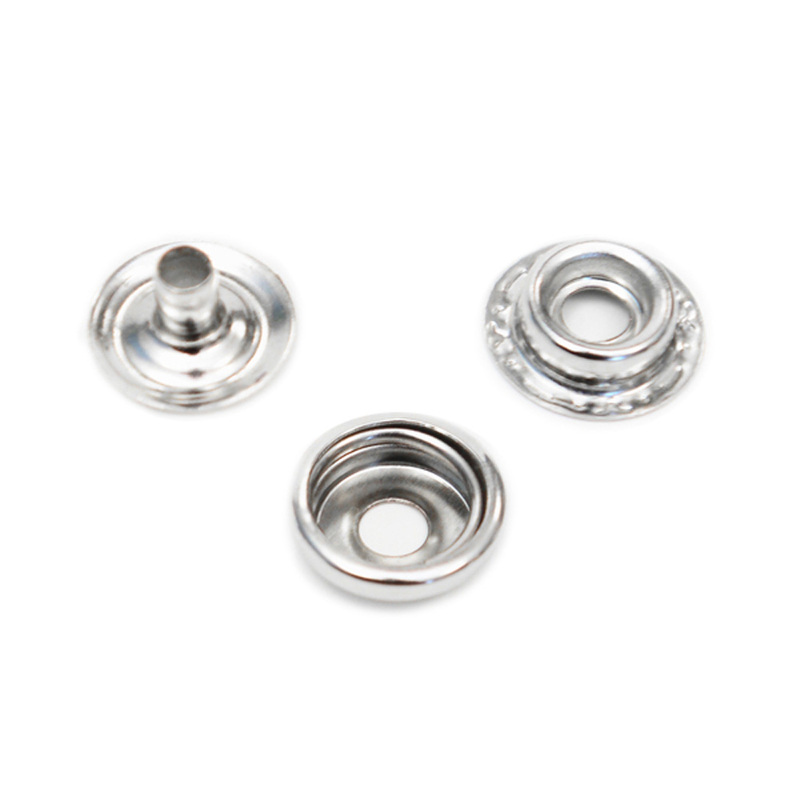 Our 10mm 3 Piece Press Stud Sets are used to create earth grounding points on bench and floor mats. 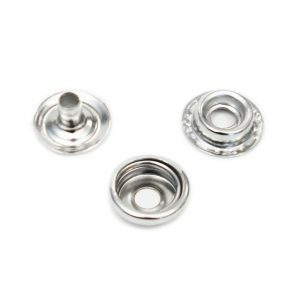 Made from mild steel with a bright zinc and passivative finish, these studs must be riveted through the mat material in order to be effective. Sold in packs of 100 complete sets. 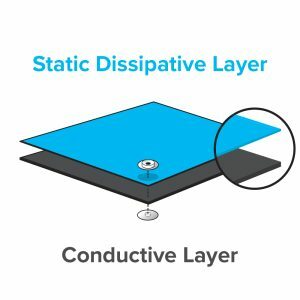 This great value 2mm thick ESD bench matting is made from a surface layer of 0.5mm thick static-dissipative rubber and a bottom layer of 1.5mm conductive rubber. 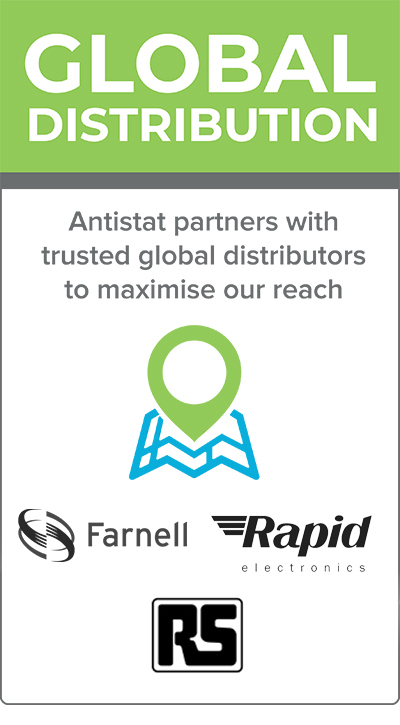 Our Antistat ESD short sleeve polo shirts are ideal for use within an EPA area in warm environments. 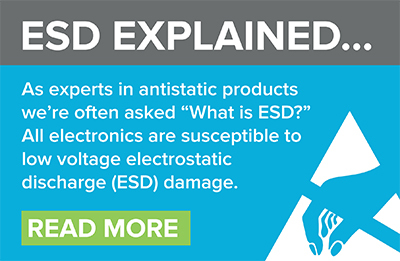 The ESD symbol on the sleeve allows easy identification. Our polo shirts are machine washable up to 40oC and the EN 61340-5-1 electrical properties are maintained after more than 40 launderings. 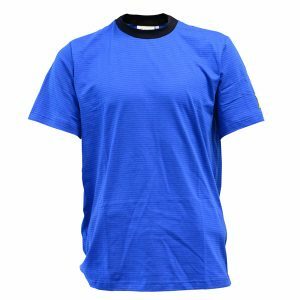 Available in four sizes and four colours. 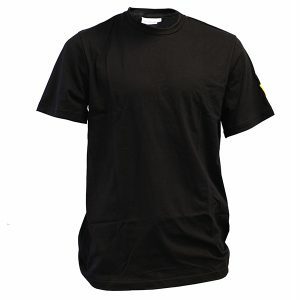 This high-quality ESD short sleeve t-shirt is designed to be worn within an ESD Protected Area. 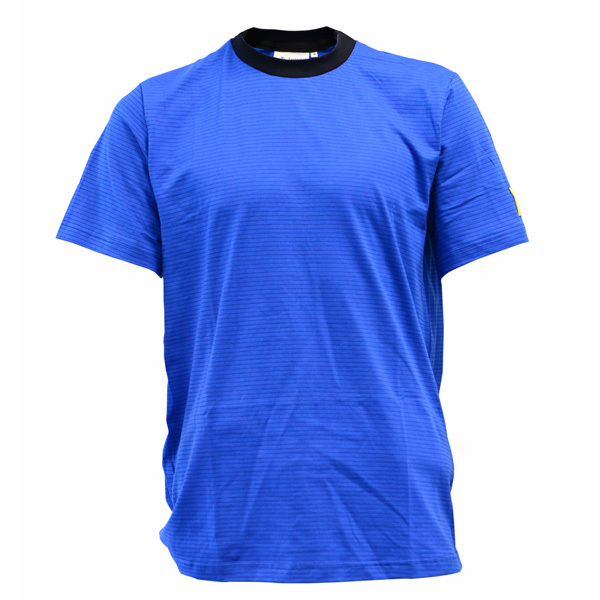 Unlike conventional clothing which can generate and retain charges, the special knitted fabric of our T-Shirts actively dissipates harmful charges, helping to prevent damage to ESD sensitive components or equipment. Available in four sizes and four different colours. 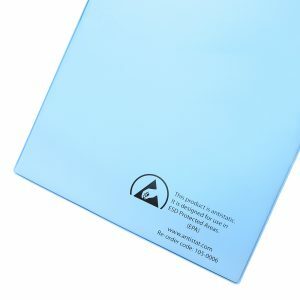 These Antistatic Clipboards are made of durable, high quality, permanently antistatic PVC. The design features ESD safe markings, which clearly identify them as compliant for static controlled areas. 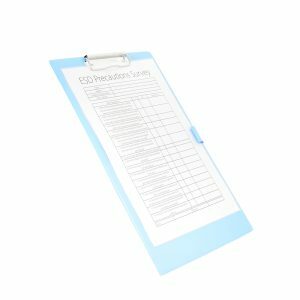 Compatible with A4 sized documents and with an in-built pen holder, these will prove to be an essential piece of stationery in your EPA. 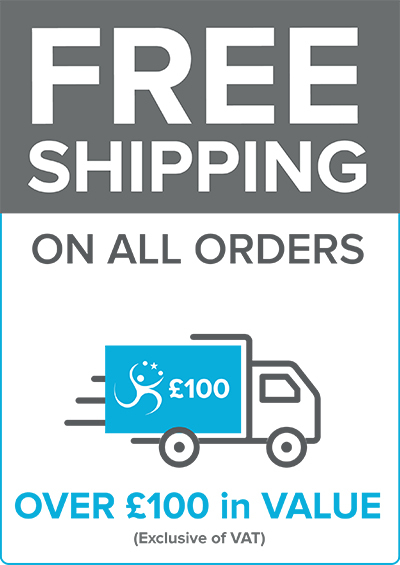 Available to buy individually so you can order the exact quantity needed. 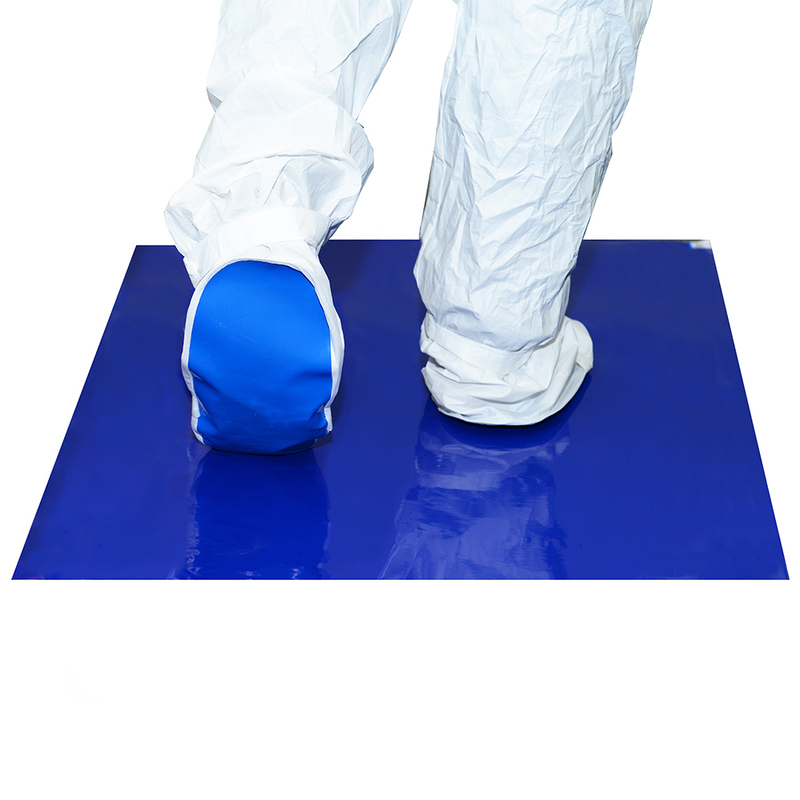 These multi-layer Antistatic Contamination Control Mats are suitable for clean environments up to an ISO 5 rating. Helping to control particle contamination by trapping debris from the soles of shoes, each mat has 30 peel-off layers, making it easy to maintain a clean, effective surface. 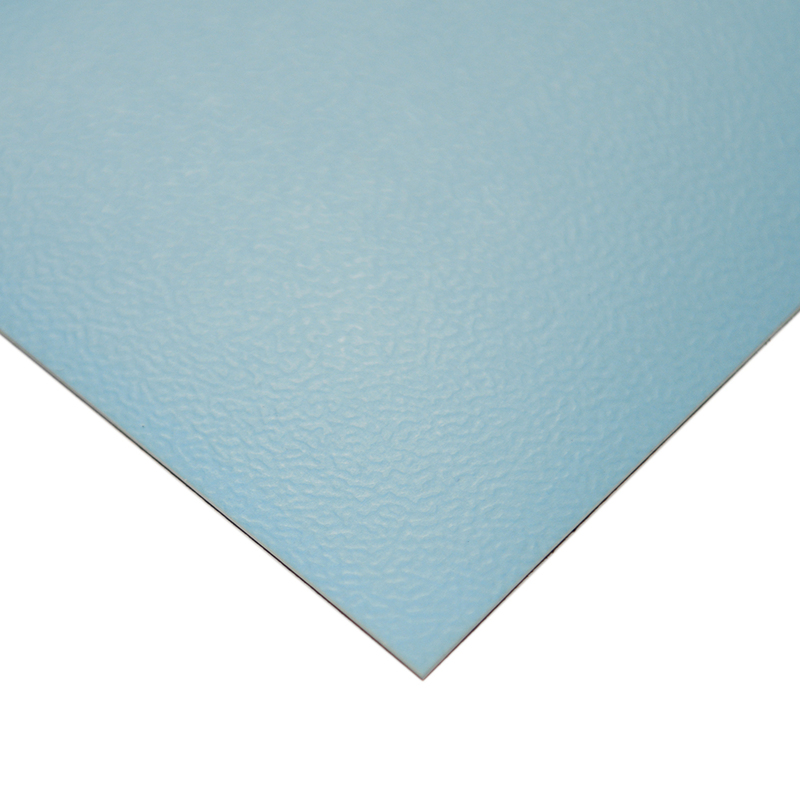 Available in 3 sizes with 30 sheets per mat, and 4 mats per case. 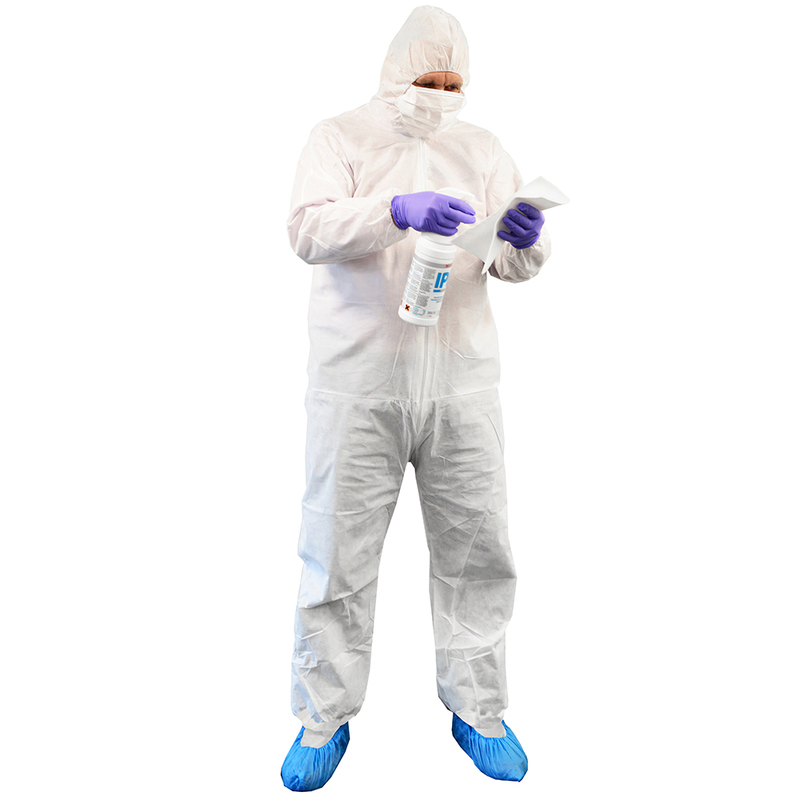 This Antistatic Disposable Coverall offers a cost-effective option for your disposable apparel requirements. Designed and manufactured to meet the stringent demands of the cleanroom industry, this coverall is lightweight and low-linting with excellent breathability for operator comfort. The integrated hood, elasticated cuffs and ankles, and zip close function offer the best of function and convenience. Available in five sizes from stock. This Antistatic Disposable Labcoat us designed and manufactured to meet the stringent demands of the cleanroom industry. 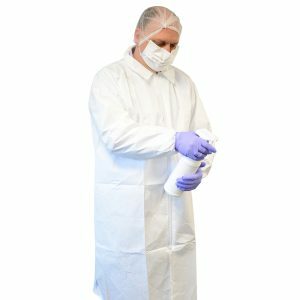 Made from spub-bound polypropylene with ultra low linting levels, the breathable lab coats offer all the protection required whilst maintaining wearer comfort. 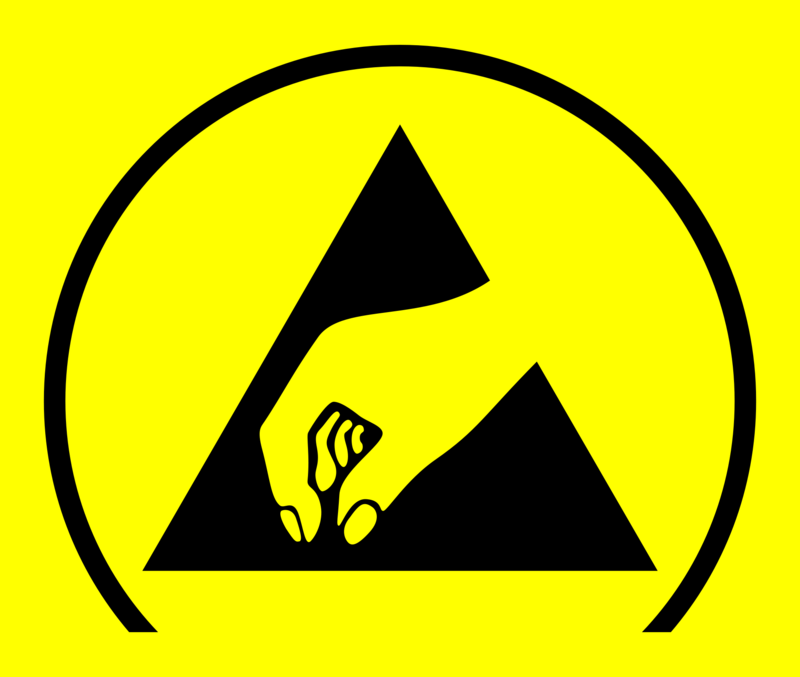 Available in five sizes and competitively priced, order yours today. These 100% natural latex Finger Cots are cleanroom compatible to ISO 5 rating. 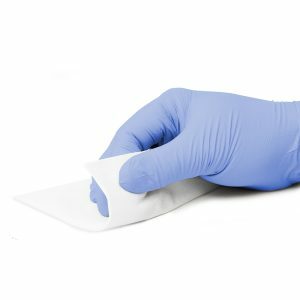 The non-sterile cots are packaged in an antistatic bags for additional security, and are available in four different sizes for operator comfort.